I get through Shampoo and Conditioner like there’s no tomorrow, I also struggle to find ones that work for my hair. I’ve tried ones that a lot of people rave about, but I’ve had no luck, so I’m always on the look out for something new. 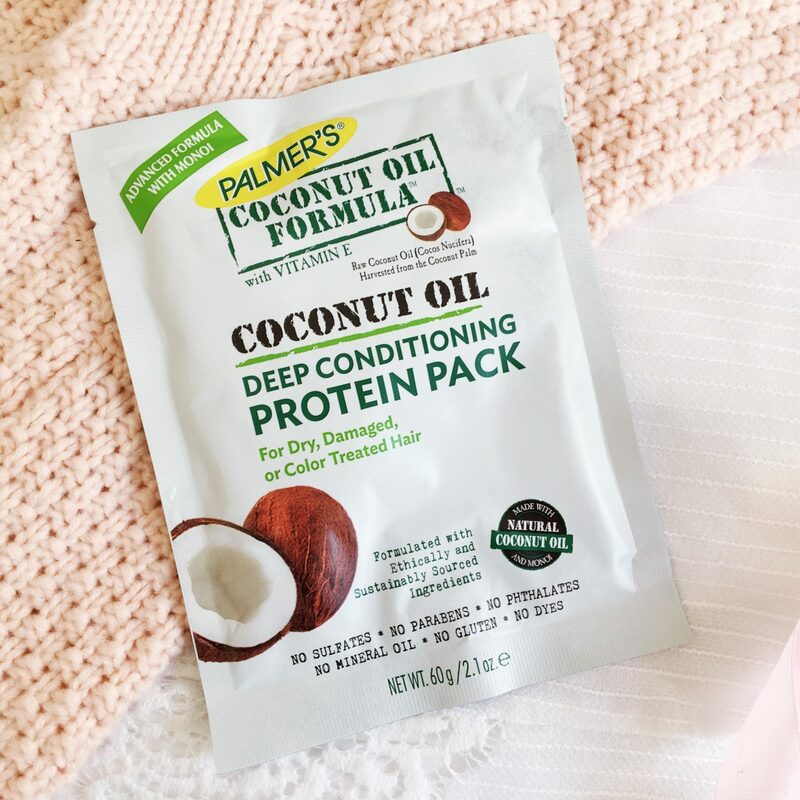 I was lucky enough to be sent the Palmer’s Coconut Oil Formula collection to try out and review to share with you. This range is best suited for those with: Dry, Damaged and Colour Treated hair. My hair is all of those things, so this is literally perfect for me. Everything in this has range has no: Parabens, Sulphates, Phthalates, Mineral Oil, Gluten or Dyes. This makes it extremely kind and gentle to the hair. This range also smells incredible, and is perfect to take away on holiday, as the whole line is coconut scented. I was excited about this being advertised as a conditioning shampoo, as most shampoos just target cleansing rather than adding hydration as that’s normal what the conditioner is for. This shampoo contains: Coconut Oil, Monoï Oil and Keratin, which all help to give it the conditioning qualities. There’s also added Vitamin E for added hydration. It has the signature coconut scent which I am living for at the moment. You get a 400ml bottle which is lasting me ages too, which I think is great for the price! This conditioner contains so many hydrating qualities that it is hard not to love, it contains: Coconut Oil, Monoï Oil, Argan Oil and Sea Kelp. I will admit that I saw Sea Kelp and had no idea what it meant, but it helps to promote growth, so if you’re struggling with growing your hair this might be a good conditioner to try! This also contains Vitamin E. This has been great for repairing my hair and I have noticed a difference, as my hair seems stronger and more manageable. The only complaint I have about this is the size of the bottle , as I get through 250ml incredibly quickly, but I can’t really complain when it only costs £ 3.99! Out of everything I’d say this is the thing I have used the least. I have been using a tiny amount on towel dried hair just before blow drying it, as I find it adds moisture and really helps to detangle. 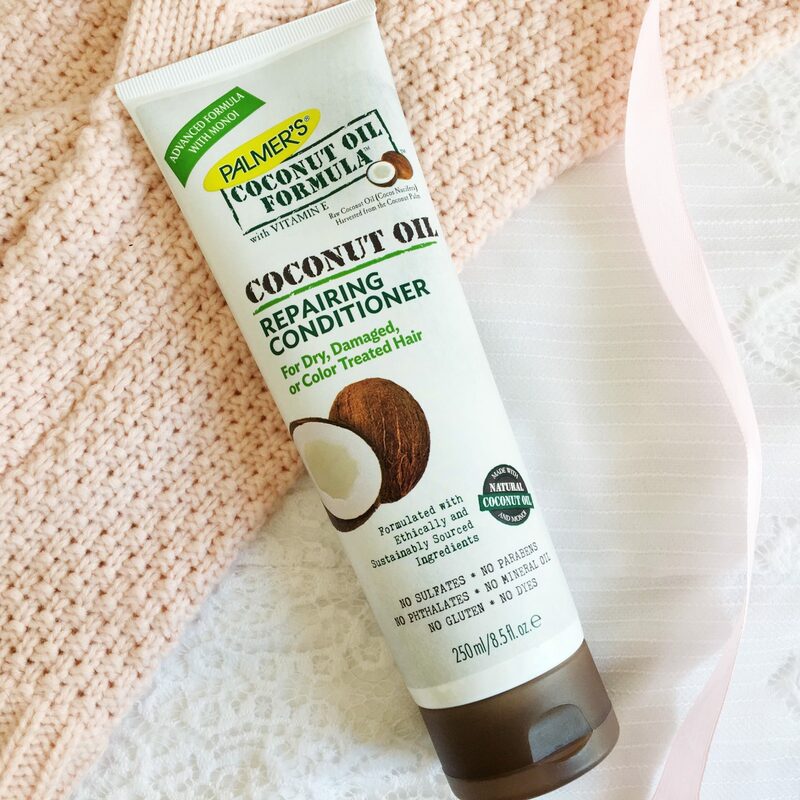 This one contains: Coconut Oil, Monoï Oil, Coconut Milk, Shea Butter and Vitamin E. If you suffer with frizz this will be perfect for you, as it is ideal for smoothing fly away’s and taming frizz. I have been loving using this! It sprays out so finely, so you don’t have to worry about using too much that your hair looks greasy. You can use this whenever you want; on towel dried hair or on dry hair. It’s great for travelling, as it’s weightless and I’ve had no problems with it leaking. If you like braiding your hair you can also spray this onto them for shine without the grease. This contains: Coconut Oil, Monoï Oil and an 8 Oil blend. I’ve also used this quite a lot, but you couldn’t tell from looking at the bottle! 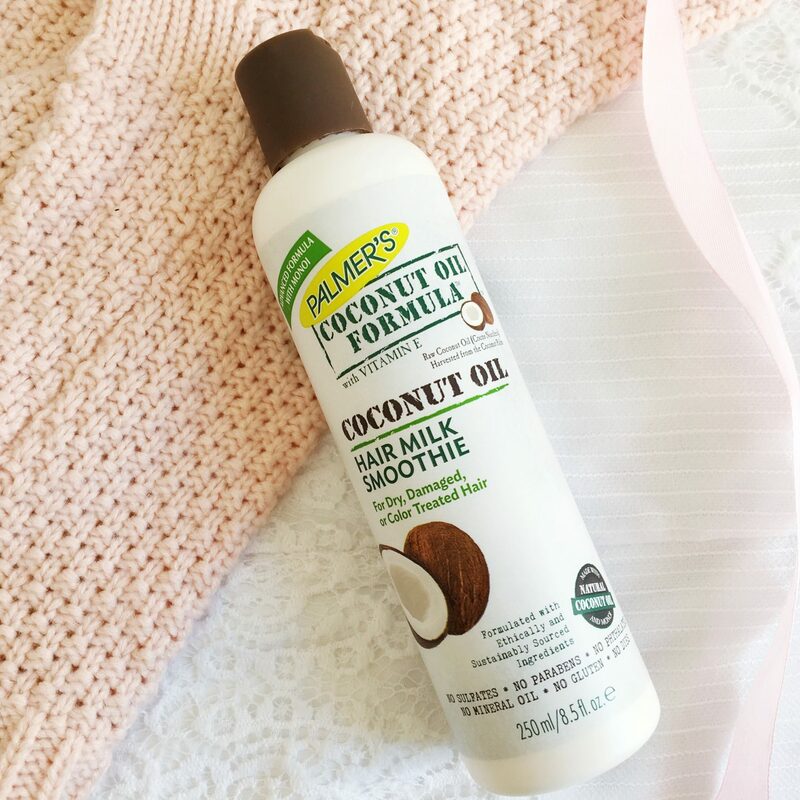 On those days where I really want to focus on hair care, I crack this out and my hair is left feeling incredibly silky and soft. I got two washes from this, as I just used in the ends of my hair. This contains: Coconut Oil, Monoï Oil, Keratin Protein, Silk Protein and Coconut Milk. When I used this I kept it on for about 20 twenty minutes to get the full effect and then rinsed it off like normal. My hair was left feeling a loft softer and a lot stronger. These packets are 60g each which I think is really good considering the price and I got two uses out of it. Overall this is a really gorgeous range, and I’m practically a walking coconut. I couldn’t recommend this enough! If you have dry and damaged hair this’ll be great for you! Have you tried anything from Palmer’s? I have never tried Palmer’s before as a brand but all of these products sound great and I can imagine them smelling incredible! This range sounds gorgeous and I bet it smells incredible! I love coconut scented things and my hair always gets really dry and easily damaged at the bottom so I think this would be perfect for me! I’m always getting through shampoos and conditioners and trying to find new ones too, when they’re this affordable it’s such a bonus! I’ve honestly never tried Palmers before, I feel like I’m really missing out as I’ve read a lot of great reviews about their products. These especially sound gorgeous, just what I need I think. 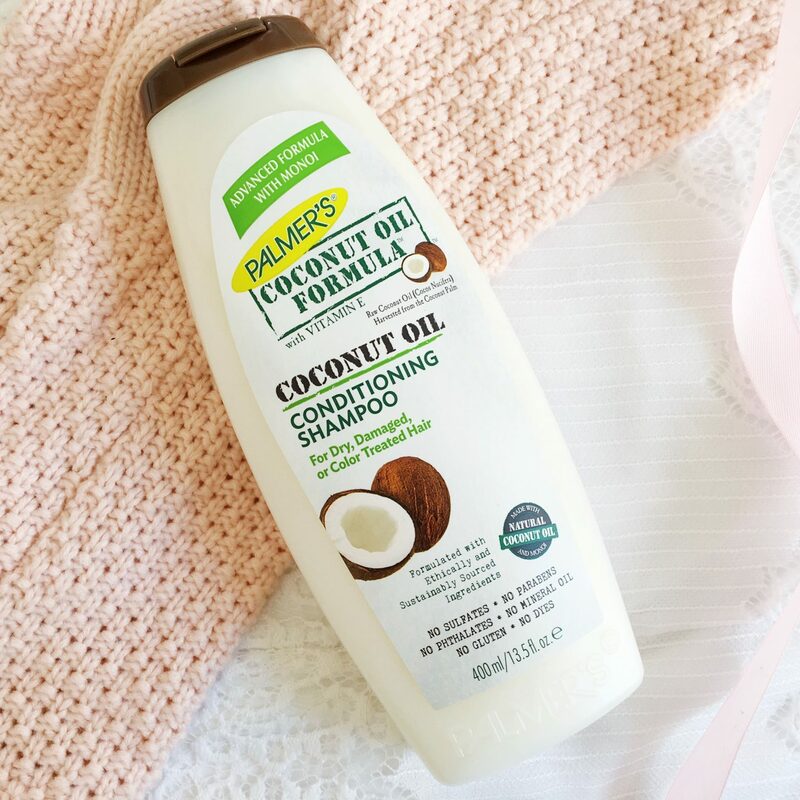 I love using coconut scented products during summer! These all sound really good. This range sounds perfect for my dry hair! Thank you for sharing it. I love the packaging of these shampoo and i am pretty sure I will love the smell even more. I think finding the right shampoo is very hard. It took me years to find one that is suitable for my scalp. Thanks for sharing. I literally thought they only made stuff for stretch marks ah thanks! 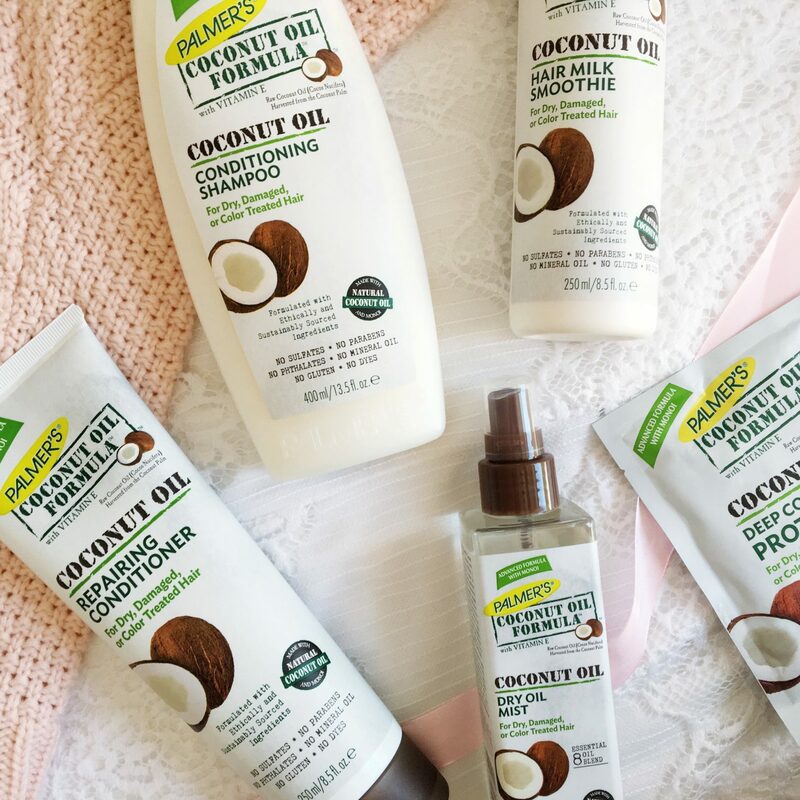 I would love to give these products a try as I love anything with coconut oil. I really love the sound of this range but I don’t like the smell of coconut just to be annoying, is the smell strong at all? I bought the oil spray for myself a couple of weeks ago and really like the difference it makes to my hair! would love to try the other products like the shampoo and conditioner too. 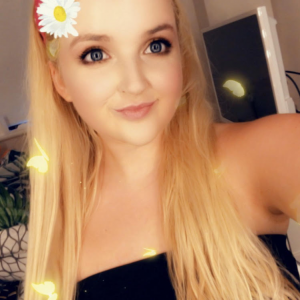 I have really been struggling to find a conditioner that works for my hair as well! I don’t like anything too greasy, or a product that weighs my hair down! The Vitamin E in the Palmers products certainly seems to be working well for you, I’d love to try it! 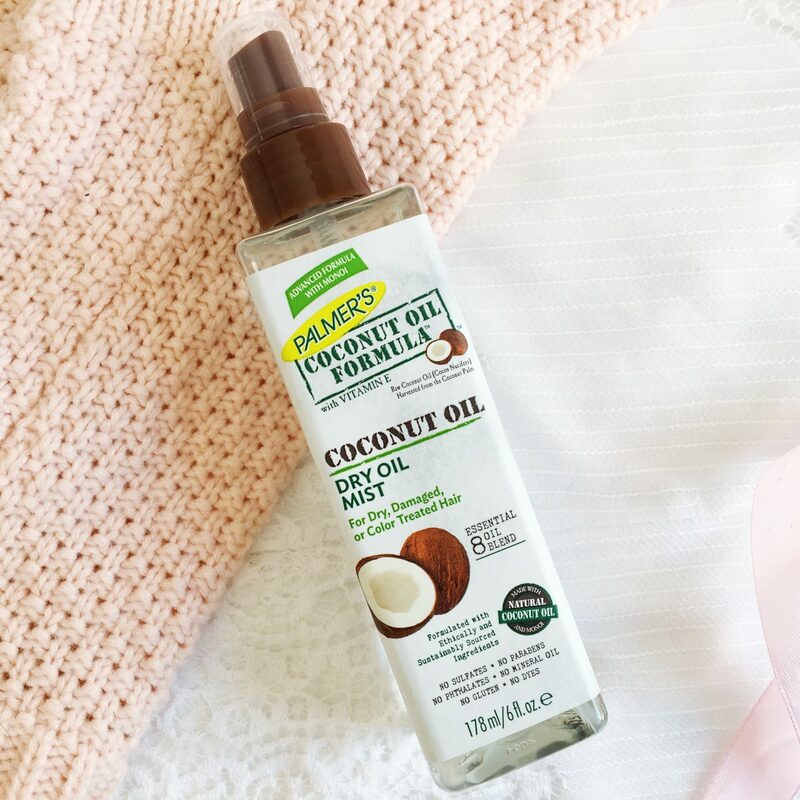 The dry mist oil sounds heavenly as well, definitely something I’ll be picking up!